The looms have been busy the past few weeks. I tried another Loom Class. The pattern was "Bee-U-Tiful Lace Cloth". Many of the class members had problems, but I thought it was a nice pattern. I made it in a larger gauge, using the long yellow knifty knitter, and Sugar & Cream cotton double strands. The photo shows it just off the loom, but the yarn "relaxed" later, and the pattern tightened. Also made a pair of fingerless mittens for older daughter with yarn she picked out at Art Fibers. She is wearing them, so I consider that a success. One disappointment was the arrival of the craft books from Horizons for the Blind. It did not occur to us that they would be only the text, not the illustrations. For one book, I was able to find the original at Amazon, and have ordered it, so we can read them together. Two other projects were hats for husband and brother. For brother, made with Art Fibers Udon- a very chunky, soft wool blend. Husband chose Lion Wool Ease in WW. It made a softer hat, but still was nice. The Udon hat is in the photo, in Chicago Bears colors. This is the cotton summer purse I loomed. It was inspired by a knitting pattern at LionYarn. I used the blue long KK loom, and the figure-eight stitch to make the body of the purse. Then I added cream crochet accents to close the purse and attach the handles. I made a simple lining out of new-sew type fleece material. This next photo is the round fluffy pillow I made. 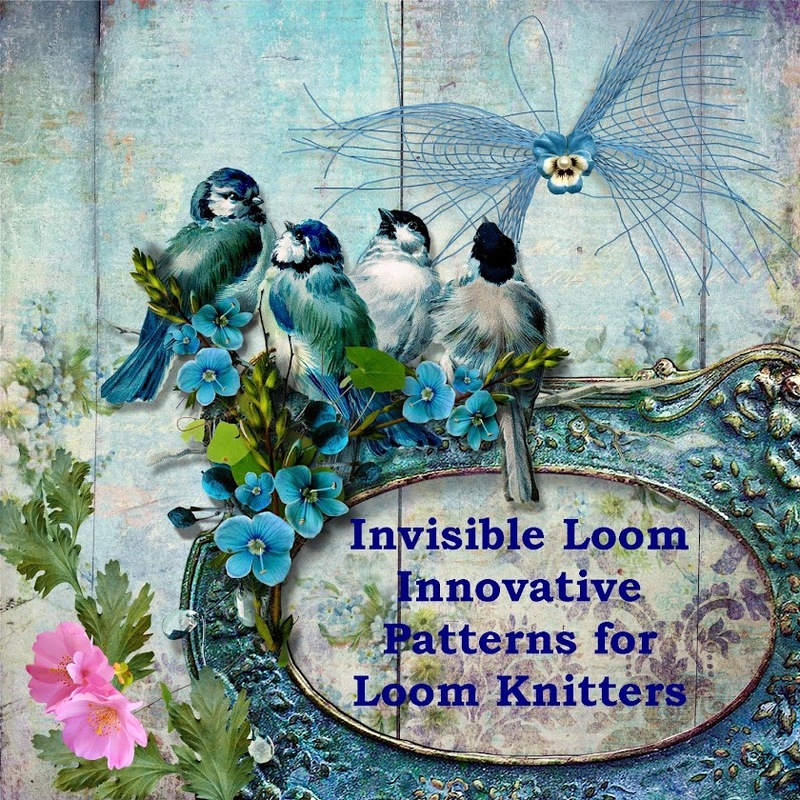 The pattern is by Looming In Maryland. I used TLC cotton for the base yarn, and Crystal Palace "Punk" for the fluffy yarn. It is a really cute pillow.